Two-time U.S. Paralympian Brad Snyder was named Male Athlete of the Paralympic Games, presented by The Hartford at the Team USA Awards presented by Dow, Best of the Games ceremony. 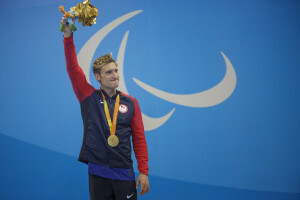 Snyder won three gold medals and tied for silver at the Rio 2016 Paralympic Games. 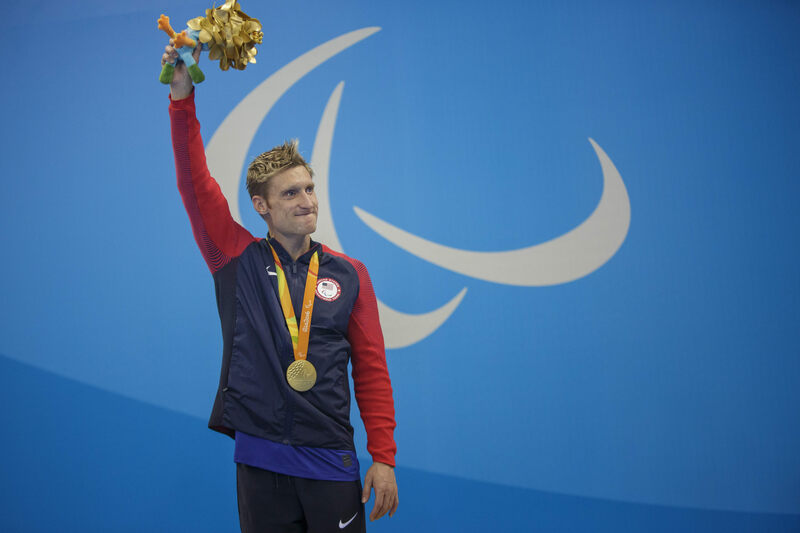 He defended his Paralympic titles in the 400- and 100-meter freestyle events, while breaking a 30-year-old world record in the 100 freestyle. Retired U.S. Navy Lt. Brad Snyder, who won a gold medal in swimming at the London 2012 Paralympic Games exactly one year after an explosion from an improvised explosive device (IED) in Afghanistan cost him his vision, is The Hartford’s national Paralympic ambassador this year. He has appeared in the company’s advertising and represented the insurer at events, including South By Southwest, the annual film, music and technology festival in Austin, Texas. He and U.S. Paralympian Alana Nichols spoke on a panel about technology and disability and how prevailing is possible when you have the right resources and team behind you. The Team USA Awards, which will be televised on NBC Sports Network (NBCSN) on Tuesday, Oct. 4 from 10-11 p.m. ET, recognize the outstanding achievements of Team USA athletes at the Rio 2016 Olympic Games and Rio 2016 Paralympic Games.